At a recent wine tasting in Chicago, I sat down with Jean-Hervé Chiquet, who along with his brother Laurent, has managed the Champagne house since taking over from their father in 1988. Located in the town of Dizy in the Champagne zone known as La Vallée de la Marne; the town of Dizy is just north and east of Epernay. 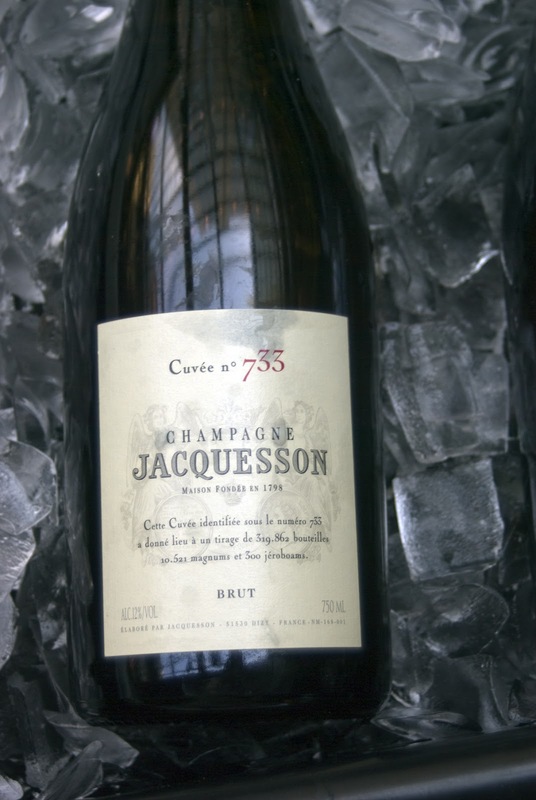 Jacquesson currently produces five different Champagnes; four of these are referred to as "lieux-dits" which in French refers to small geographical areas bearing a traditional name. Two of these wines are from plots in Dizy - one pure Chardonnay, one a rosé made only from Pinot Noir - one is from Avize (Chardonnay) and the final one from Ay (Pinot Noir). As these cuvées are vintage-dated, they are only produced in years in which the Chiquet brothers believe the quality of the base wines is up to their standards. However, the majority of their production is with a wine bearing a number in the 700 series. This is their non-vintage Champagne, a product that is quite different from non-vintage cuvées made by other firms. The brothers have determined that instead of a consistent house style as with the traditional non-vintage Champagne, they would produce a non-vintage bottling that emphasized the character of one particular vintage. They began this project back in 2003 as they produced the wine for the 2000 vintage; they assigned this wine the name Cuvée No. 728. They have produced a cuvée based on each vintage every year since and the number of the particular cuvée increases by one each year, so the wine made from the 2001 vintage was Cuvée 729, for 2002 it was Cuvée 730 and so on. 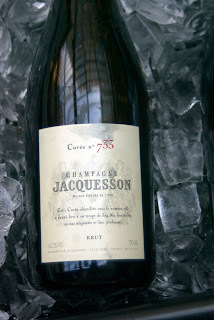 The current release, based on the 2007 vintage is Cuvée 735. I asked Jean-Hervé about this particular project as well as their particular farming philosophy as well as how global warming is affecting the Champagne region. 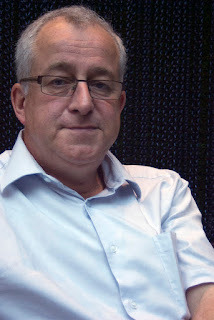 Tom Hyland: You produce a non-vintage Champagne that is based upon one vintage. If there is a particularly difficult growing season, would you skip a year? Jean-Hervé Chiquet: "I’m touching wood here, but we haven’t had to do so thus far. We don’t hesitate to sell a significant part of our production if it isn’t up to our expectation. In 2010, we sold about 15% of our fruit. We will only keep our best fruit, because today we produce only one blend and four single vineyards, which combined represent only 10% of our production. The blend represents between 90% and 100% of our production in any given year, as we make between zero and four single vineyards depending on the year. When we make the single vineyards, we make them on two conditions: they have to be good but they have to be not needed in the blend. Now today in terms of production, we make one blend and four single vineyards. We can really concentrate on the best. To compensate for the fact that the vintage is not made anymore, we have decided that from the Cuvée 733, which is the 2005-based wine, instead of selling all the cuvée before moving on to the new one, we save some for four additional years of bottling age, so we will have a late disgorgement. So for the Cuvée 735 (the 2007, released in 2011, a four-year release cycle), that would be our mimimum aging for the cuvée and the second release would be four years later. That means that in 2013, you will have the first 733 late disgorged. So we will have by then two cuvées, the regular plus the late disgorged." TH: You are located in the town of Dizy, at the 49th parallel, which is pretty far north. Over the last 10-15 years with the climate change, how has that affected your area in Champagne? JHC: "We are a big fan of the climate change! We may avoid the disasterous vintages we had in the past. Now the only problems in our four villages with south-facing vineyards, Pinot Meunier does not behave well with the climate change. That’s the reason we are slowly replacing our Pinot Meunier with Pinot Noir. We are not sure why. Even when we have super Meunier like in 2008, it’s still not as good as the Pinot Noir. Again, I’m talking about our little region, I’m not talking about everywhere else." TH: Do you farm according to organic or biodynamic practices? JHC: "Organic, yes. As for biodynamic, we will not practice something we do not fully understand." TH: It sounds like perhaps you're not entirely sold on biodynamic methods. JHC: "Let's put it this way. Many of the best growers in Champagne are biodynamic. But they were great before they switched over to biodynamic. We don't use a particular method to realize our wines. The final product is what is important."